When Dr. Robert Pamplin, one of Oregon’s most forward-thinking philanthropists and businessmen, purchased the historic Chateau Benoit Winery in 1999, his vision was to create wines of the highest quality to reflect his passion for excellence. To this end Dr. Pamplin has charged winemaker Thomas Houseman and winegrower Peter Ebbers with the task of crafting extraordinary Pinot Noir. Thomas, Peter, and the rest of the crew are absolutely passionate about producing wines of the finest quality and have dedicated their lives to this quest. For more information about Dr. Pamplin, Thomas, Peter and the entire Anne Amie team, read their bios. Pinot reigns supreme at Anne Amie Vineyards with Pinot Noir, Pinot Gris and Pinot Blanc forming the heart of our production. Complementing the pinot family is Old-Vine Estate Müller Thurgau, planted in 1979. As with all great wines, our’s start in the vineyards. We are fortunate to have some of Oregon’s best sites, all of which are Salmon Safe and LIVE certified. Our estate vineyards receive only the minimal required treatments and yields are dramatically reduced in order to give fruit with great depth and complexity. Our estate vineyards are located in the rolling hills of the Yamhill-Carlton District and on the steep hillsides of the Chehalem Mountains, both nestled in Oregon’s verdant Willamette Valley. Our LIVE certified winery is located on our Yamhill-Carlton property, a few miles from both Lafayette and Carlton, Oregon. 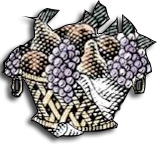 We are proud to be part of the Yamhill-Carlton Winegrowers Association, and the Chehalem Mountains Winegrowers.